After years of development and month's of Beta testing the latest version of PokerTracker is available now. A must for any serious poker player, the latest version of the market leading tracking software comes with all the features players have come to expect as well as some great new additions. Poker Tracker 4 features the most advanced Heads Up Display (HUD) around as well as interactive graphs, reports and filters, a drag and drop HUD editor, money flow charts, ICM results in replayer, equity and ICM calculator as well as a quiz feature to polish your push/fold strategy. Model hand ranges, track leaks and see whether you're running good courtesy of the Luck Bell Curve. PokerTracker 4 supports No-Limit, Limit, or Pot-Limit cash games, Sit N’ Go’s and Multi-Table Tournaments for both Texas Holdem and Omaha players. 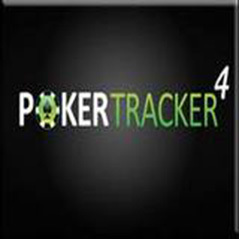 If you've never used tracking software before then now is the perfect opportunity to give Poker Tracker 4 a go. Take advantage of a free 30-day trial and start boosting your profitability immediately. Download it here.